During the walking tour, the participants will be able to see the main tourist sites of the city of Ljubljana. Starting from the Union hotel we will see the Prešeren Square, which is the main town square with a statue of the most famous Slovenian poet, who lived and worked in Ljubljana - France Prešeren. We will see the Triple Bridge and a beautiful Franciscan Church, some of the examples of Art Nouveau architecture. The tour continues to the Butcher's Bridge that has been recently renovated and the Dragon Bridge, a symbol of Ljubljana. The Central Market with its famous colonnade, designed by the famous Slovenian architect Jože Plečnik, is the next must see, continued by the Seminary Palace Cathedral of Saint Nicholas. In the Old Town we will visit the City Hall, the Francesco Robba's Baroque Fountain and the Cobblers' Bridge. From the Congress Square we will see the University of Ljubljana, the Slovenian Philharmonic Building and the Ursuline Church of the Holy Trinity. We will also visit the Ljubljana medieval castle. 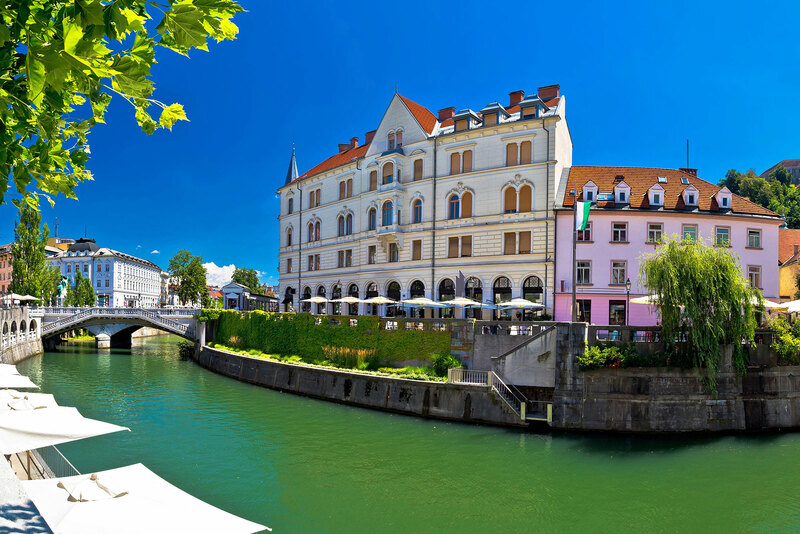 During the tour participants will be able to join a boat ride down the Ljubljanica river. The tour is kindly offered by our hosts EZS (lunch is provided).